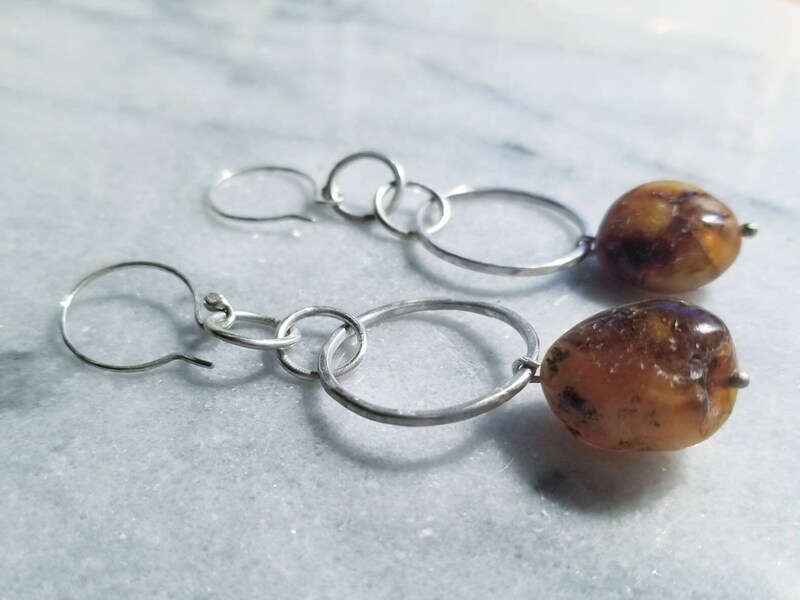 I created these earrings around the large oval amber beads. 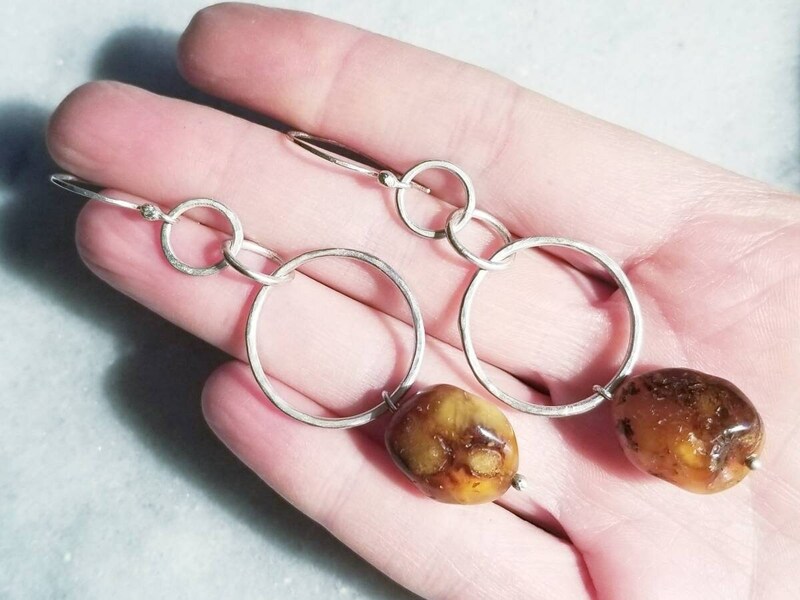 Each earring is made up of three interlocking hoops with the amber hanging from the large hoop. 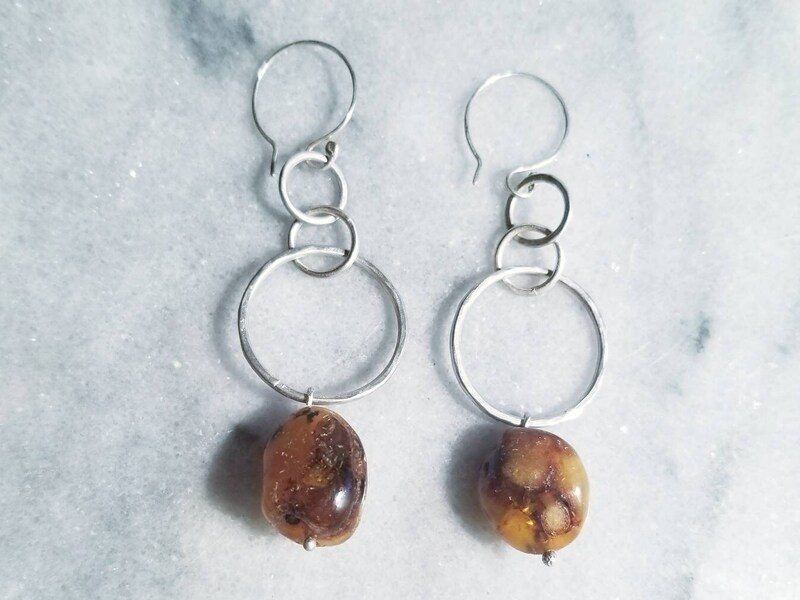 I gave the top and bottom hoops a nice hammered texture and left the middle one smooth. 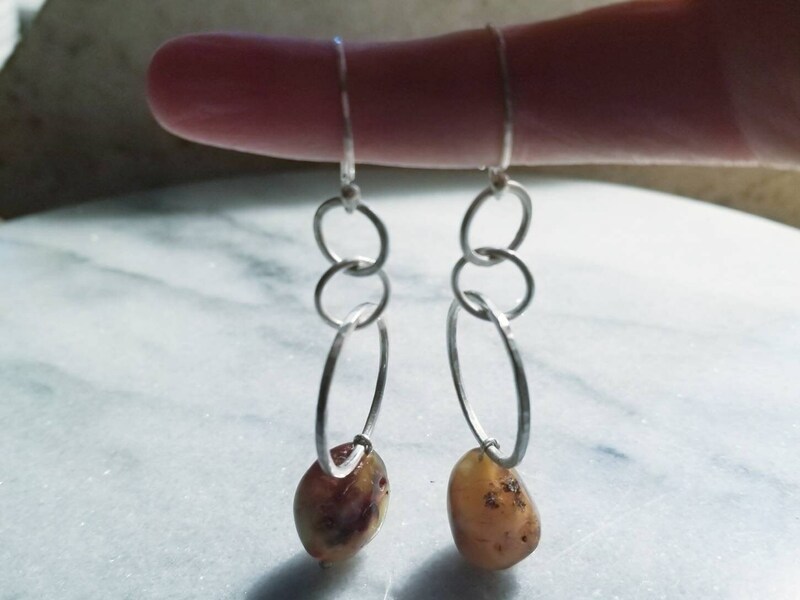 The earrings are a little over 3 inches long including the handmade sterling silver ear wire.